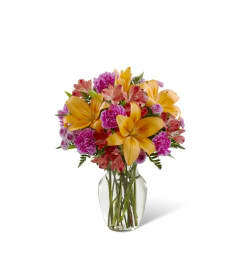 The FTD® Lime-Licious™ Bouquet comes straight from our fun, trendy and simple irresistible Color Confection Collection. 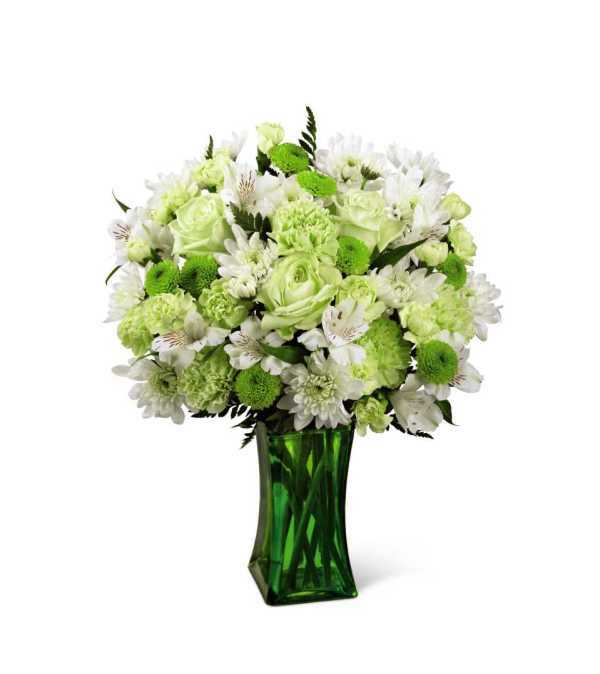 Freshly squeezed and ready to bring on the green, this stunning flower bouquet consists of green roses, carnations, mini carnations and button poms beautifully offset by white Peruvian lilies and white cushion poms to create an arrangement popping with color and style. 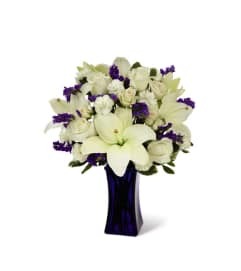 Presented in a green glass vase to give it a simply "lime-licious" look, this mixed flower arrangement is set to send your sweetest wishes to friends and family in honor of a birthday, as a thank you, or just to celebrate in style.